Can you believe that Christmas is in only 4 days!? 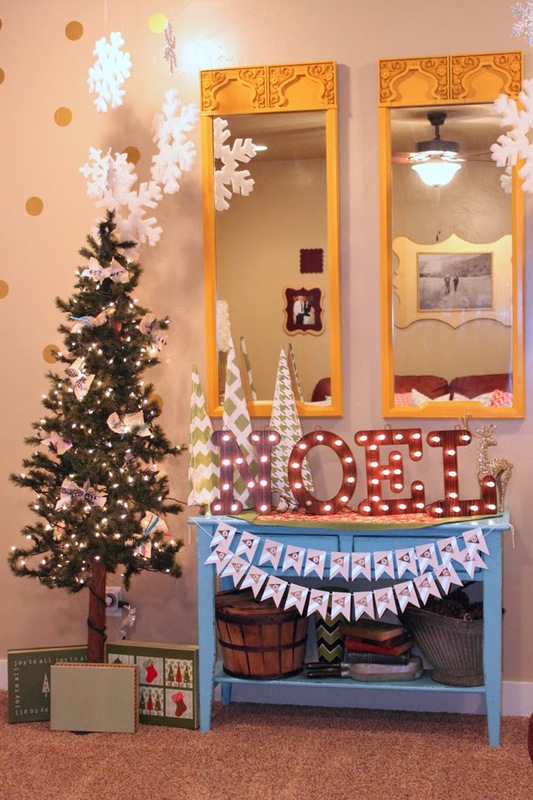 I thought I would do a little post on my favorite Christmas decor in my home. I love to decorate for every holiday. It is something that I really look forward to. Christmas is by far my favorite. I love the twinkling lights and the magic of it all. So here it is! My favorite little spots in my home! 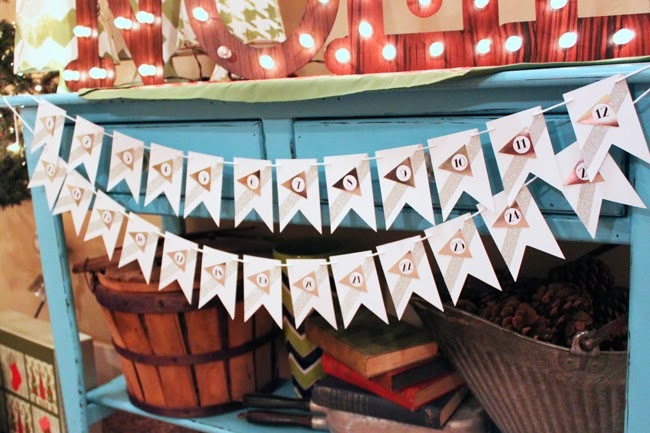 Could you die at this darling advent bunting!? More than heart made it and it is one of my favorite things of my Christmas decor. I love the metallic sliver on it. She does such amazing job with all of her products. She masters every detail! I love these darling polka dots on my wall! The metallic gold just adds so much fun to the room. They were SO easy to apply! I was worried that they would be hard or they wouldn’t stick right with my texturing on my walls, but man oh man was it such an easy little project! Vinyl Wall Art has the cutest vinyl for any room in your home! 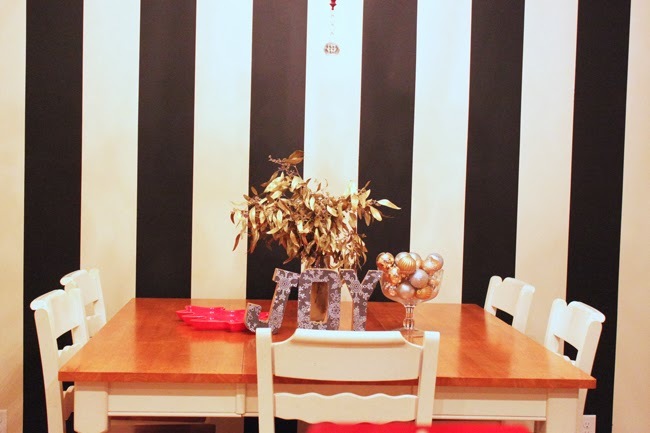 I just painted these stripes on my wall in my kitchen (if you follow me on Instagram you have already seen it!) and seriously every time I walk into my kitchen I get a huge smile on my face. It is by far my favorite room in my home now! The stripes are so fun and whimsical! Oh and did I mention they were SO easy to paint?! 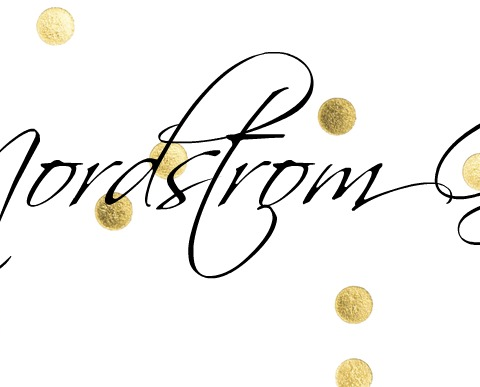 This fun JOY word set is also from More Than Heart. I absolutely love it. I love the texture of the burlap fabric and I absolutely love the snowflake pattern on it. 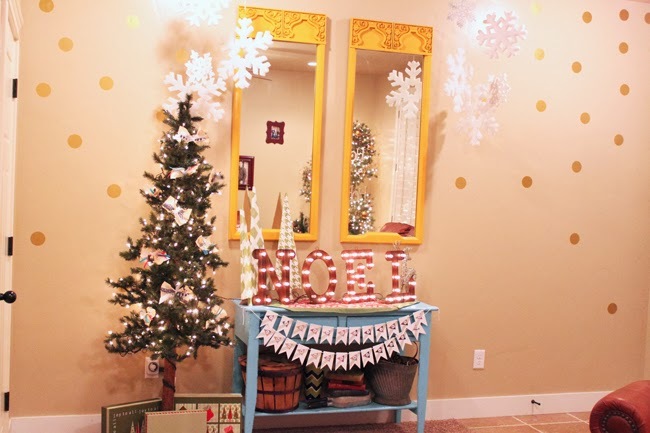 These are so fun and I love that they are different than the traditional Christmas decor in my home. A HUGE step in the direction of who I want to be. Previous Post: « How to get beautiful shiny straight hair! Your decorations are fantastic! I love that banner you have!! Merry Christmas! That table with Noel on it is perfection!! Did you make the light up letters? So cute! 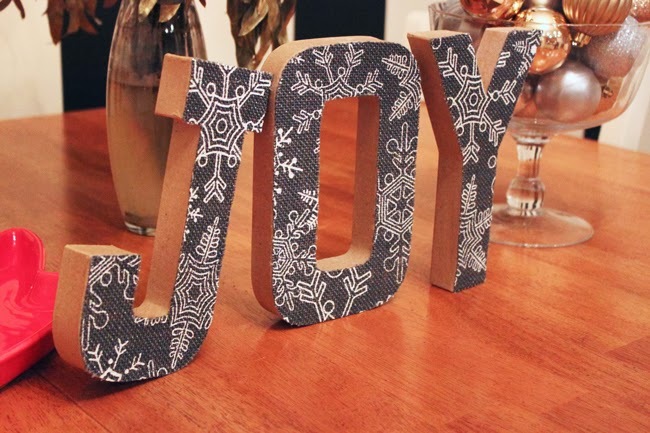 I made JOY letters just like those but with red glitter!